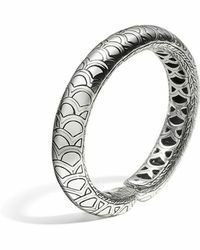 There's no brand that embodies the art of jewellery making better than John Hardy. 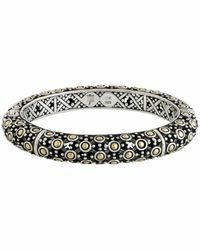 Each elegantly designed piece is a symbol of artistry, originality and genuine craftsmanship made to fit your individual personality. 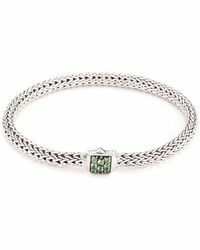 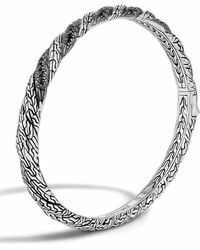 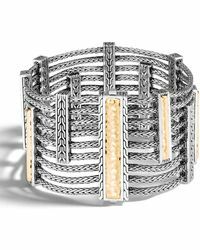 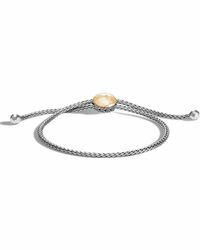 Bringing breathtaking visions to life in the form of statement bracelets the John Hardy selection offers women a stunning array of precious metals and incredible gems in a variety of sculpted forms. 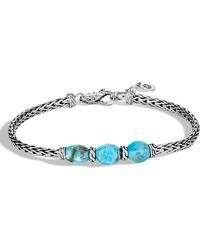 From sterling silver and gold chains to sky blue topaz and turquoise stones the collections are rich with inspiration and flare. 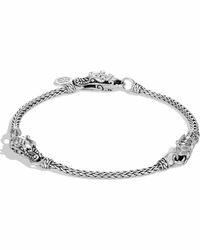 A John Hardy bracelet is not only timeless but magically can transform any occasion and outfit.